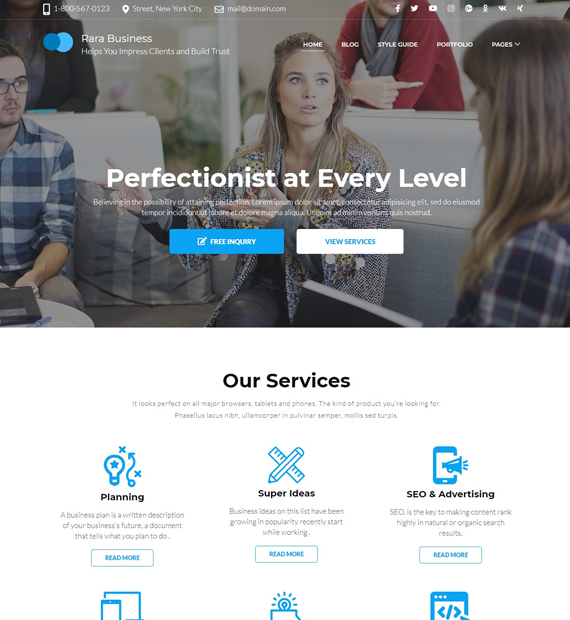 Rara Business is easy to use and feature rich free WordPress business theme. It is a perfectly crafted theme for business, corporate, digital agency, small firms, and informative websites. It is a responsive theme which means it displays flawlessly on every screen size. It allows both static image and video banner on the front page. This theme includes much-needed features like services, testimonials, StatCounter, team, portfolio, social media, and blog section.